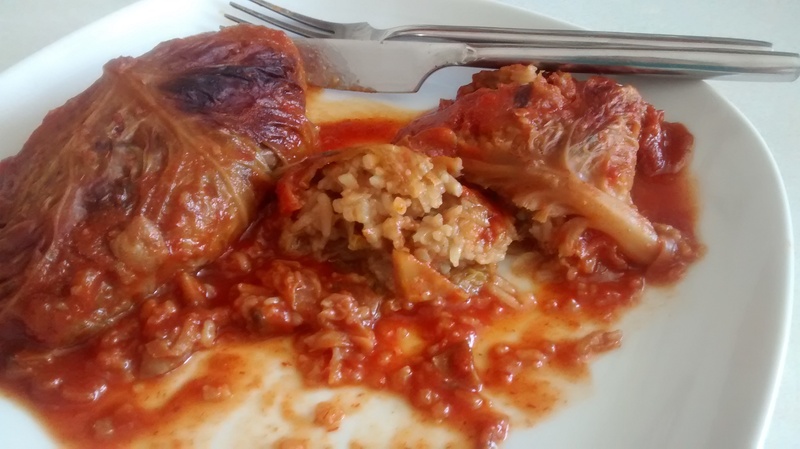 On my last trip to Poland my cousin in Białystok suggested this variation on kotlety mielone – minced meat burgers. 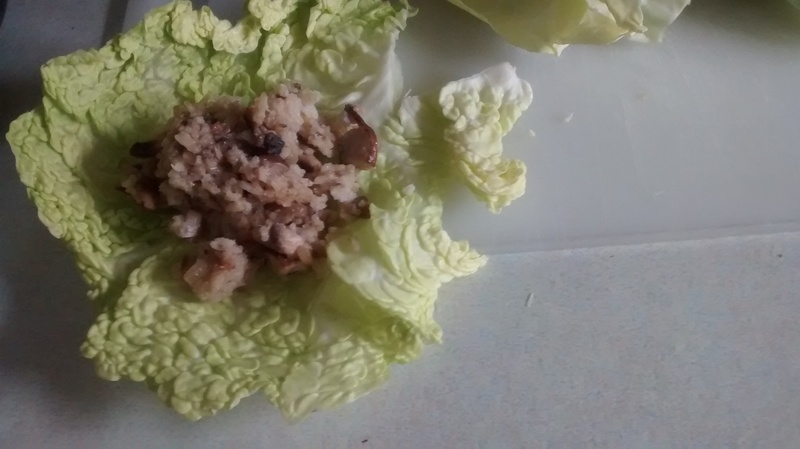 The idea is to add shredded white cabbage to the minced meat mix. 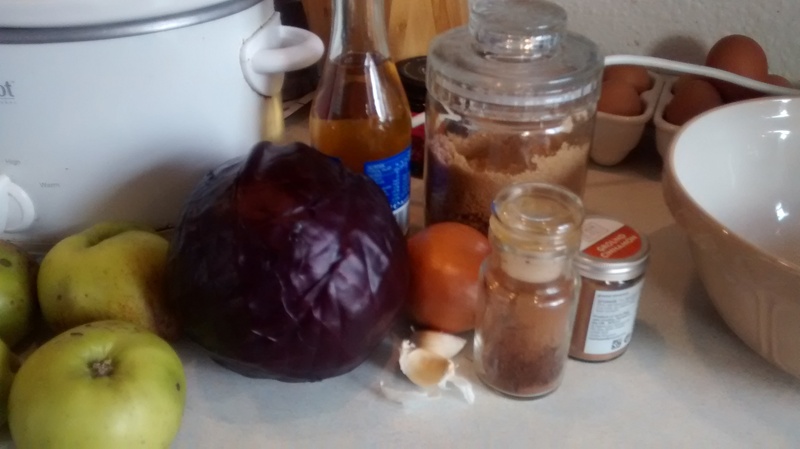 2 parts minced meat : 1 part cabbage – you can go up to equal weights of each. 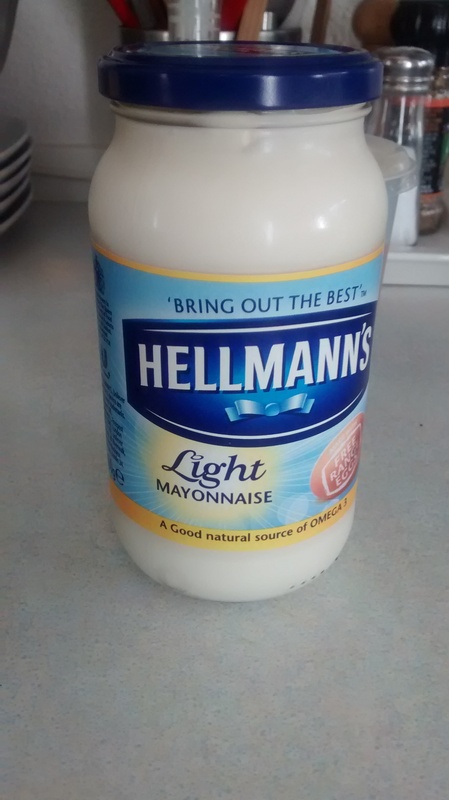 * I used semolina instead of my usual white bread soaked in milk – I was pleased with this as an alternative. Chop the onion fine and fry in a little hot oil till lightly browned then leave till cold. 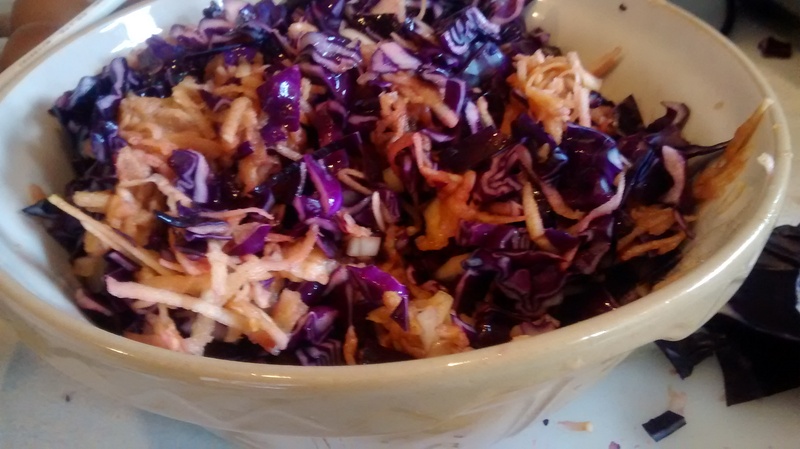 Cut the cabbage into fine shreds and then across so you have small squarish pieces. 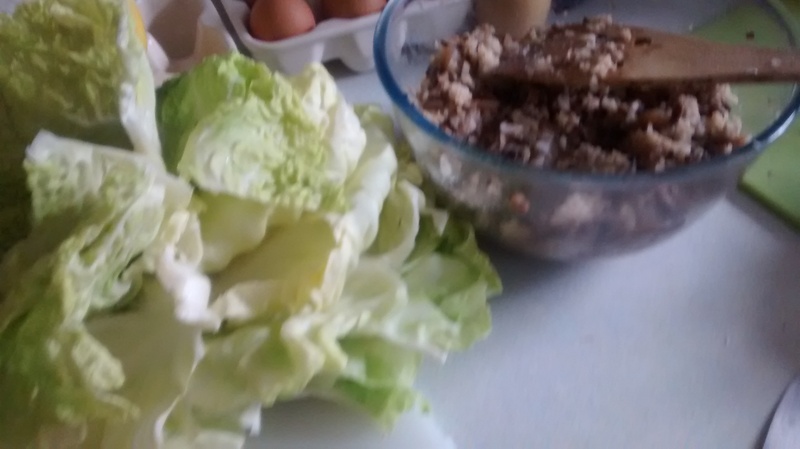 In a large bowl mix the minced meat and cabbage till they are evenly mix. 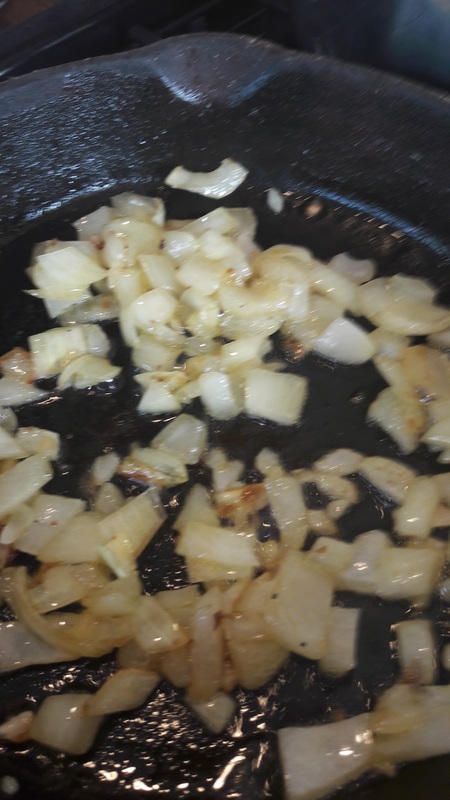 Add the fried onions and mix again. Add the semolina, salt and pepper and mix until you get a uniform mixture. 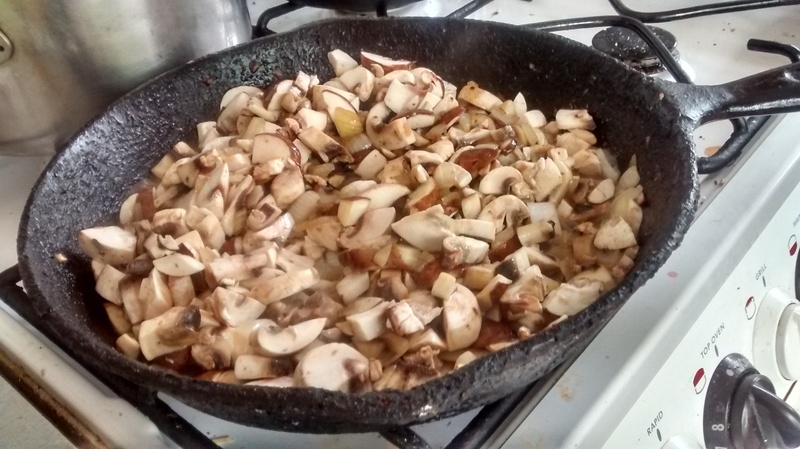 I had found I like these more when they have been in the oven for a while after frying – evenly cooked through. These can be served in many ways, with boiled or mashed potatoes or rice and a variety of salads. Royal Doulton – Carnation – 1982 – 1998. 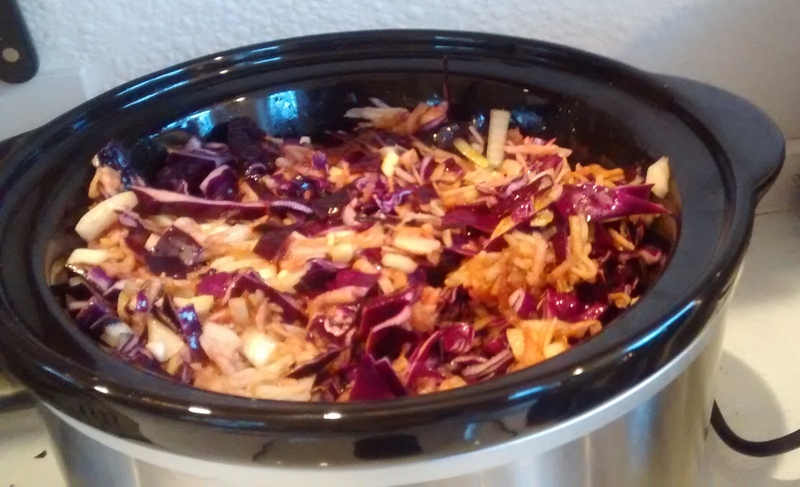 Whilst doing some research on this recipe, I found that some cooks used cooked cabbage rather than raw. 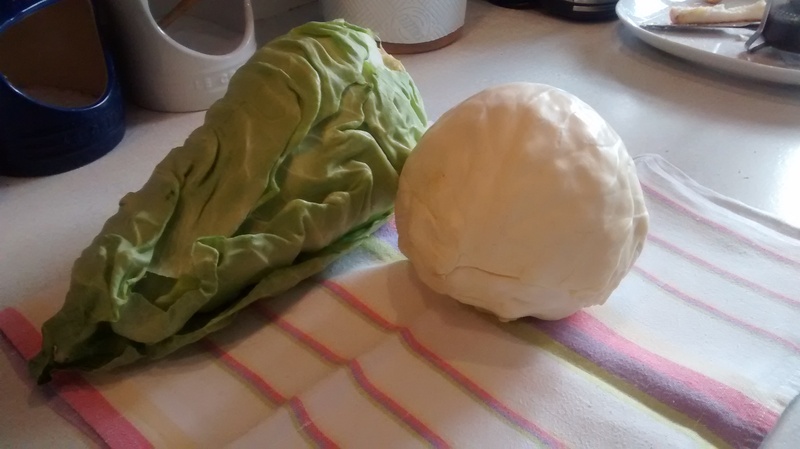 As above but this time with 400g – 500g of uncooked white cabbage (around the same weight as the minced meat). 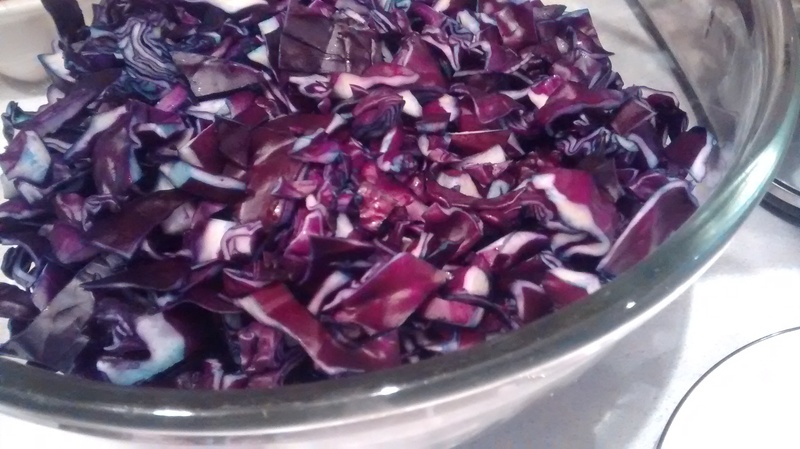 Chop the cabbage into large pieces and steam it till cooked. 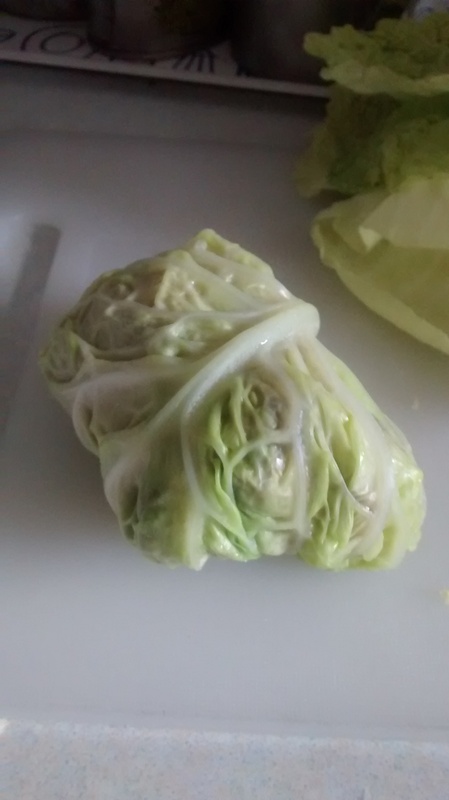 Dry the cabbage with a clean tea towel to get rid of as much water as possible. 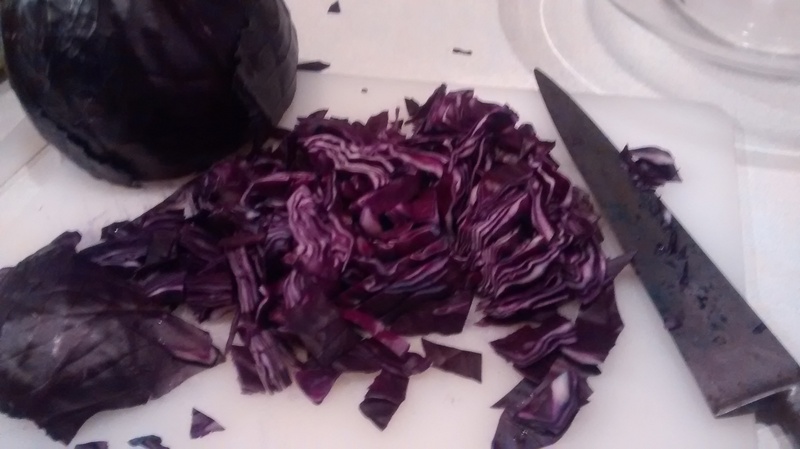 Chop the cabbage into very fine pieces. Proceed as in the method above. 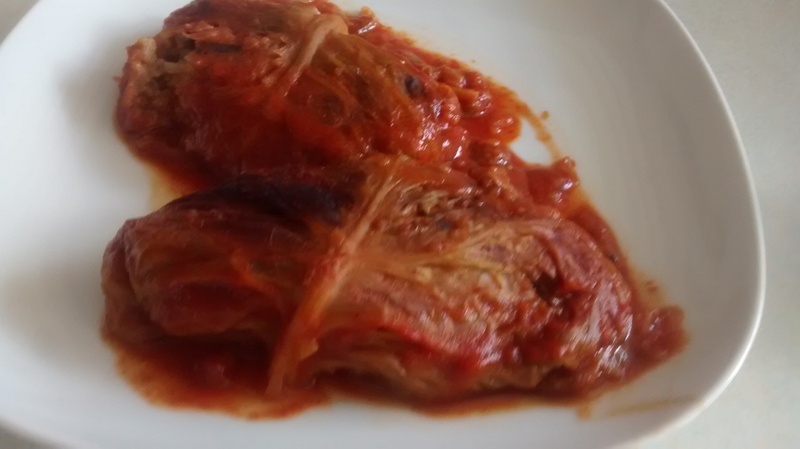 For both versions, should you have any left, you can reheat them in sauce made with chicken or vegetable stock. 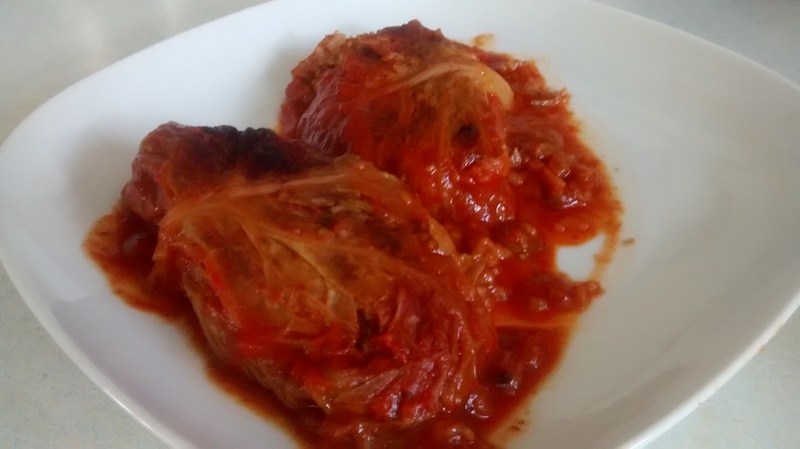 Once when on a visit to my late cousin, Krystyna, in the Mazurian lakes, many years ago, she made this dish with pork ribs. The Mazurian Lakes – The Land of a thousand lakes in North East Poland. Maybe because it was the summer time or maybe the type of pork but I remember this meat as being so flavoursome. 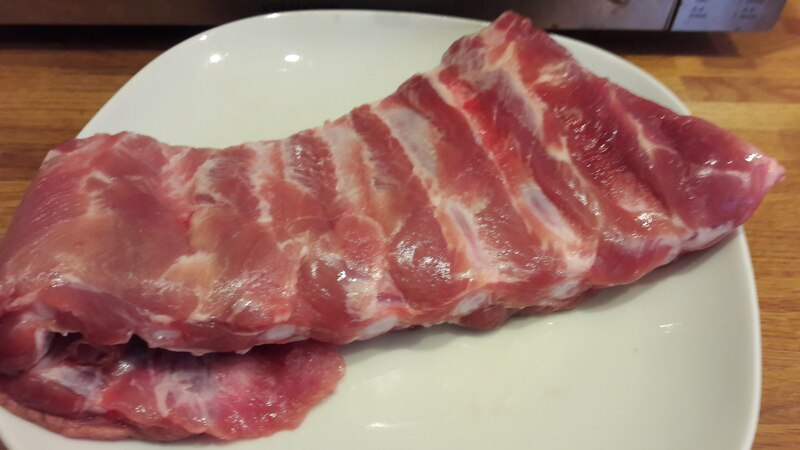 It was as a really delicious meal with the meat just falling of the bones and we ate the ribs with lovely mashed potatoes. Use the best pork you can buy – I used some locally reared Yorkshire pork. 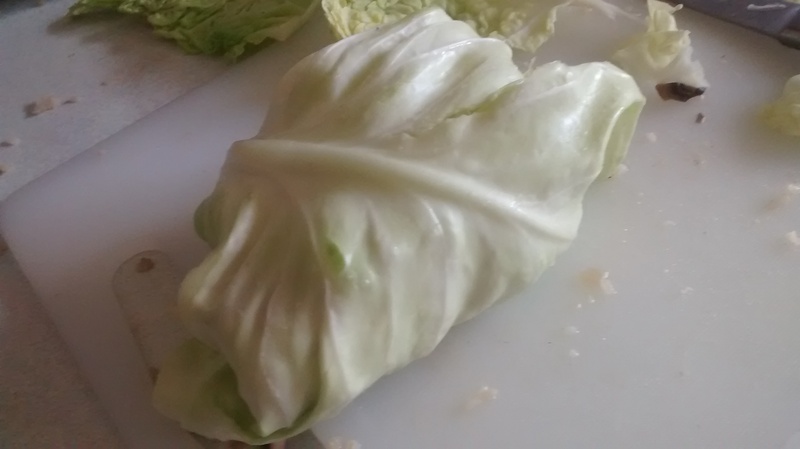 Half a head of a small cabbage – cut into fine shreds. 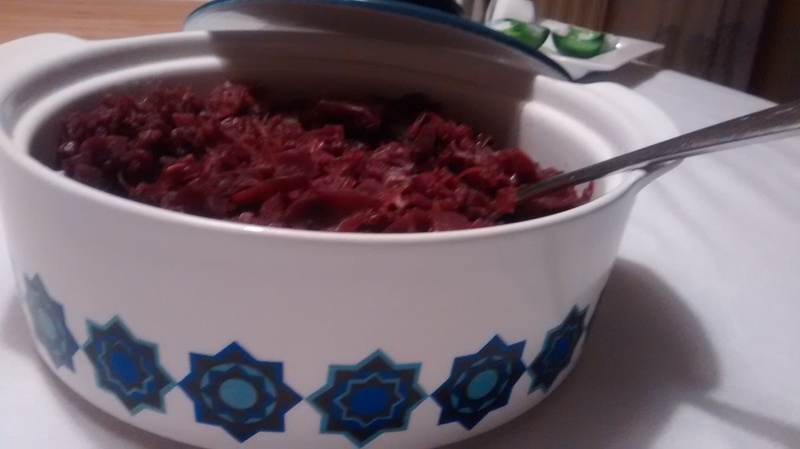 Use a large oven proof dish with a lid. 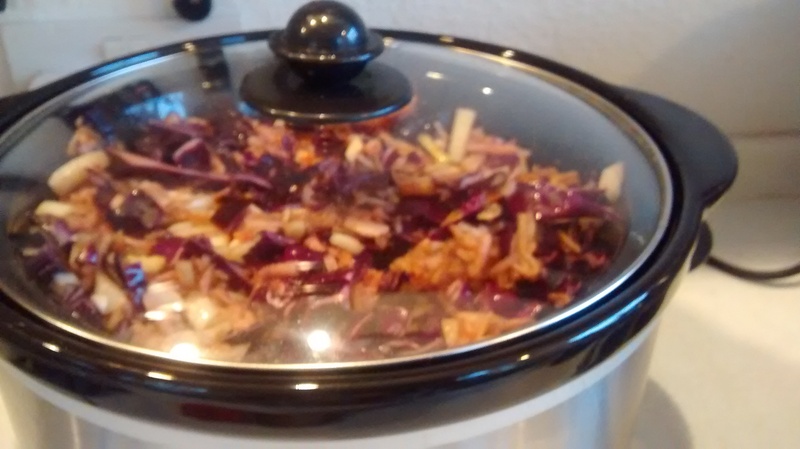 Put the carrots, onions and cabbage into the dish. Place the ribs so they sit on top of the vegetables. 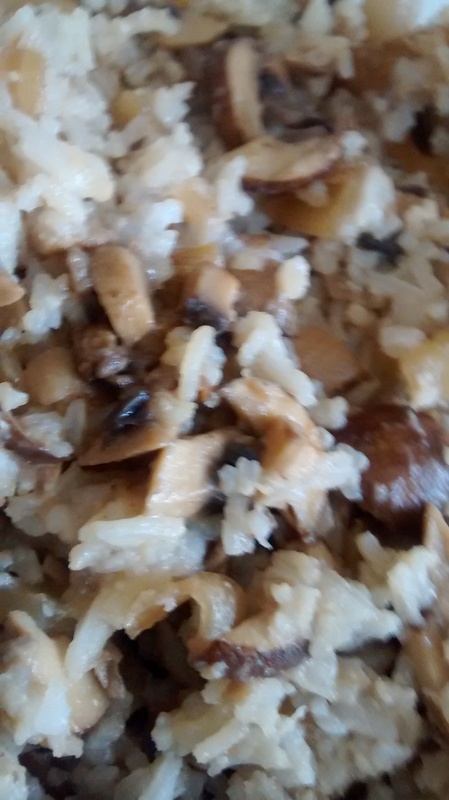 Put the lid on top and cook in the oven for several hours. Check occasionally and add more stock if required. Lower the temperature of the oven to GM 2 – 150°C for a few more hours- OR – take out of the oven and reheat for several hours at GM4 – 180°C the next day. 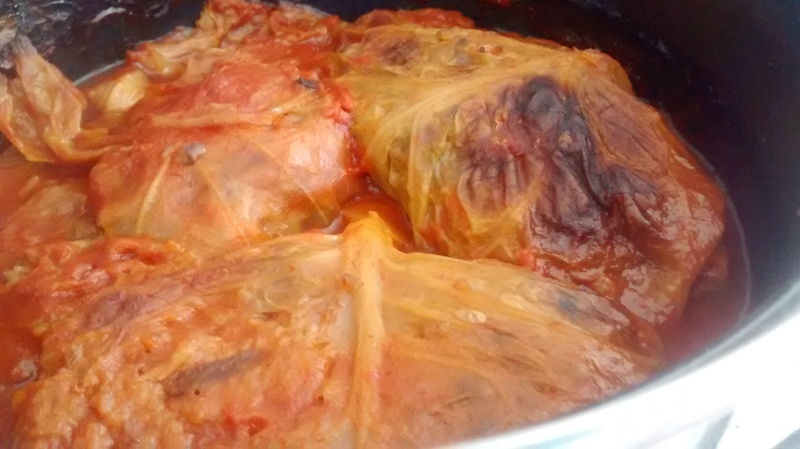 After the original cooking – the next day add stock which has had 2 to 3 tablespoons of tomato puree added to it. The Polish for these is kotlety z jarzyn – cutlets from vegetables. 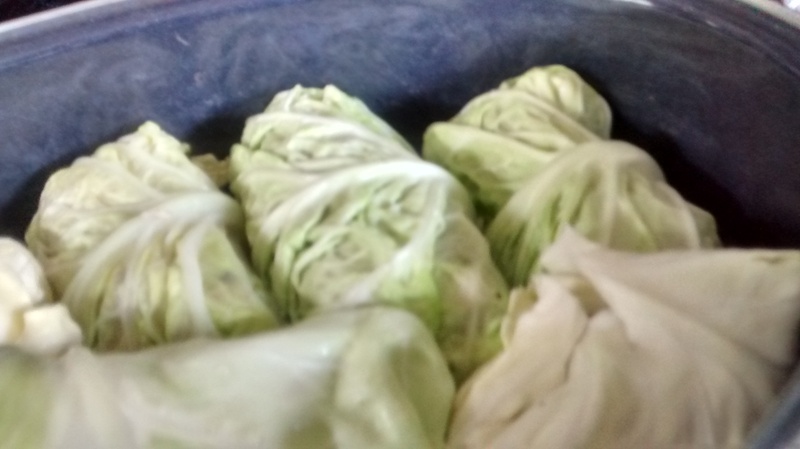 These are made with boiled or steamed vegetables. 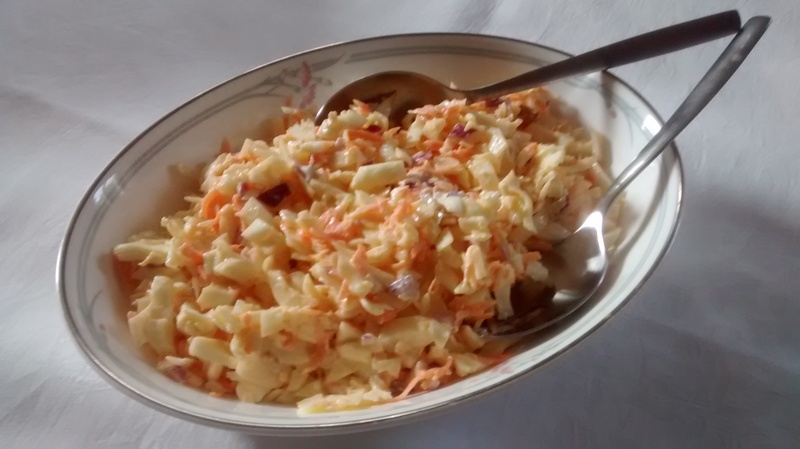 Root vegetables are good here as well as cooked cabbage – you can also add cooked pulses such as peas and beans – I am writing a post just about bean fritters which will be posted soon. 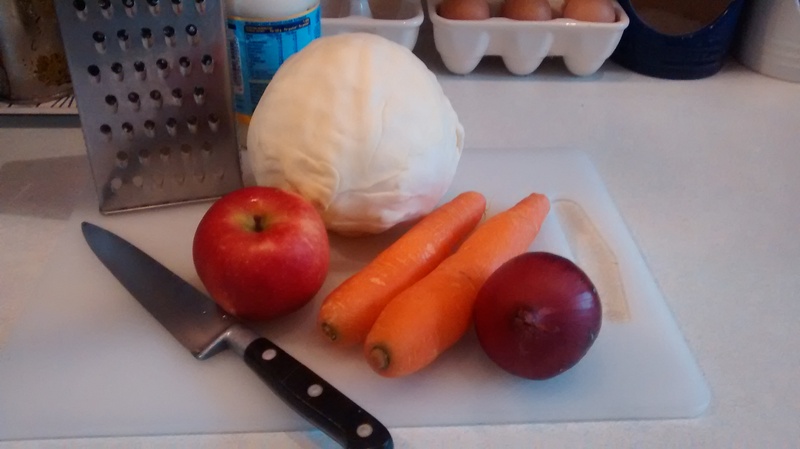 The following vegetable are ones I often use: cabbage, carrots, celeriac, cauliflower, parsnip and potato. 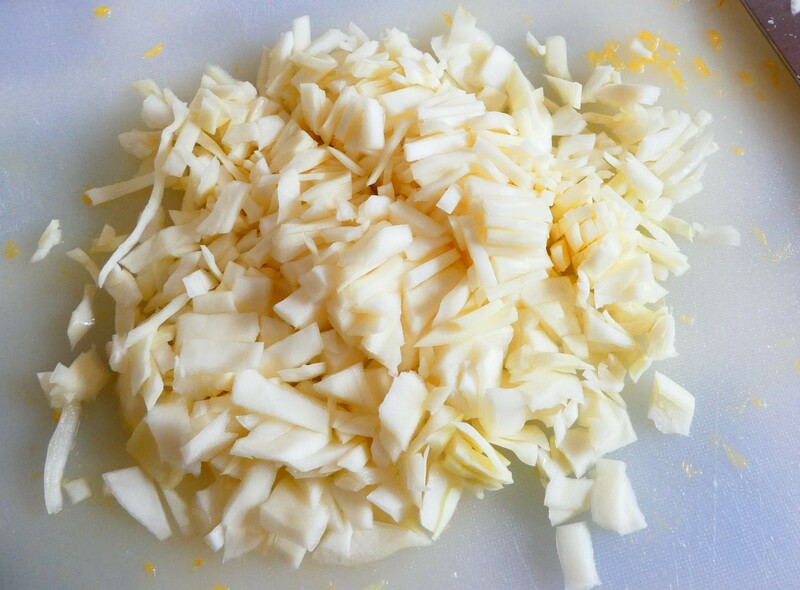 The cooked vegetables need to be chopped fine, minced or mashed – whichever is more suitable or easiest. 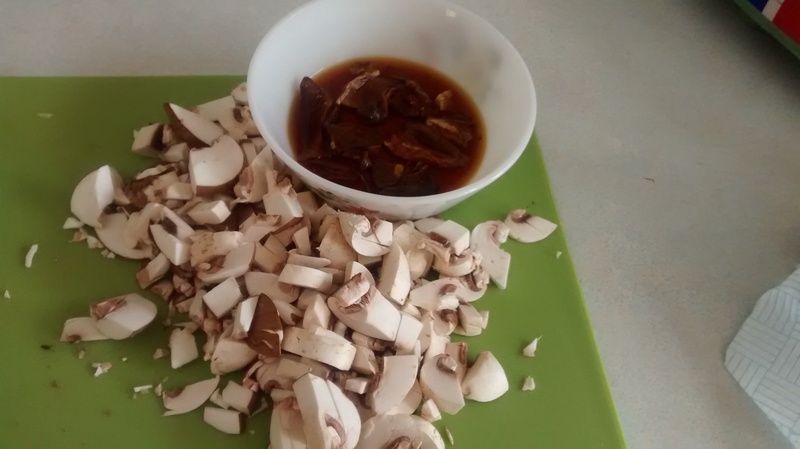 For this post I cooked the vegetables especially but this is a good way to use up any leftover cooked vegetables. 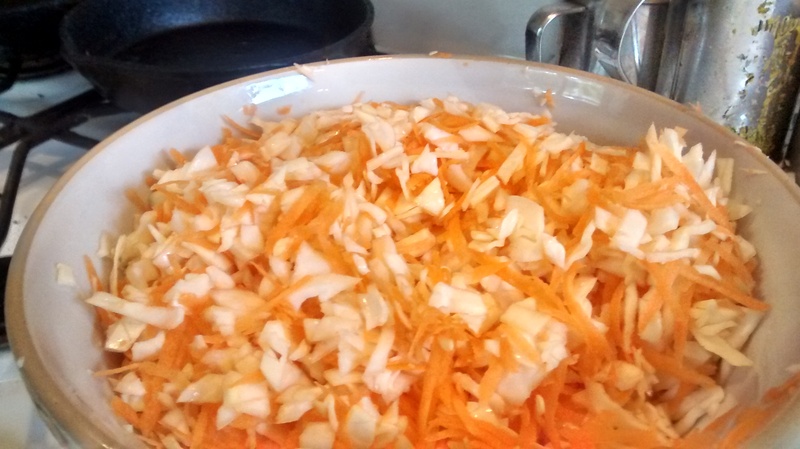 Around 500g of cooked vegetables – chopped,mashed or minced as appropriate. 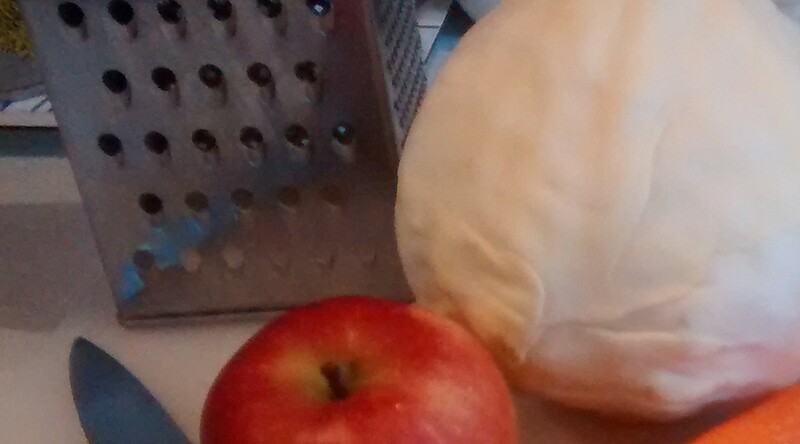 2 – 3 tablespoons of potato flour – depends on how moist or starchy the vegetables are. 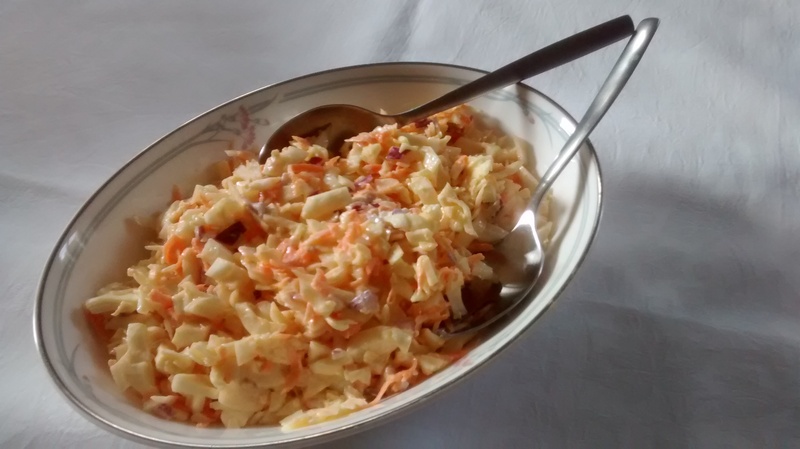 Extras – you can add chopped parsley, dill or chives or any other herbs you like. Chop fine, mash or mince the vegetables as appropriate. Chop the onions and fry them gently in butter till golden and leave to cool. Mix the vegetables and the onion together. Add enough potato flour to make the mixture fairly stiff. Put dried breadcrumbs on a board or large plate. Make largish balls of the mixture and flatten them onto the breadcrumbs, turn them over and cover all the sides. Fry them gently in hot sunflower oil. You can keep them warm on a baking tray in the oven whilst making the rest. I like these reheated – Place them on a baking tray into a pre-heated hot oven GM6 200°C for around 15 minutes. The combinations are endless – here are some ideas …. As in the instructions above with the addition of chopped spring onion (the green part) or chives.